New Story! Seeking justice for a murdered child, La Muerta narrowly escapes death at the hands of a supernatural evil-the legendary La Llorona. But La Muerta's victory is short-lived. Her defiance has enraged a ruthless, criminal mastermind known as Brujo. Practicing the darkest of magic, Brujo will stop at nothing to accomplish his nefarious plans. 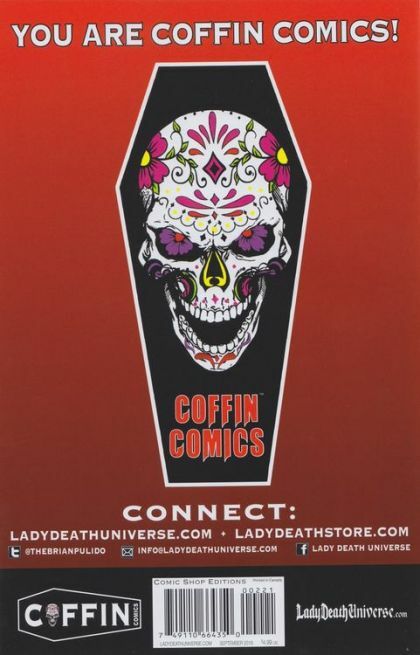 How can La Muerta fight an enemy she can't kill and what terrible price will she pay for the sake of retribution?